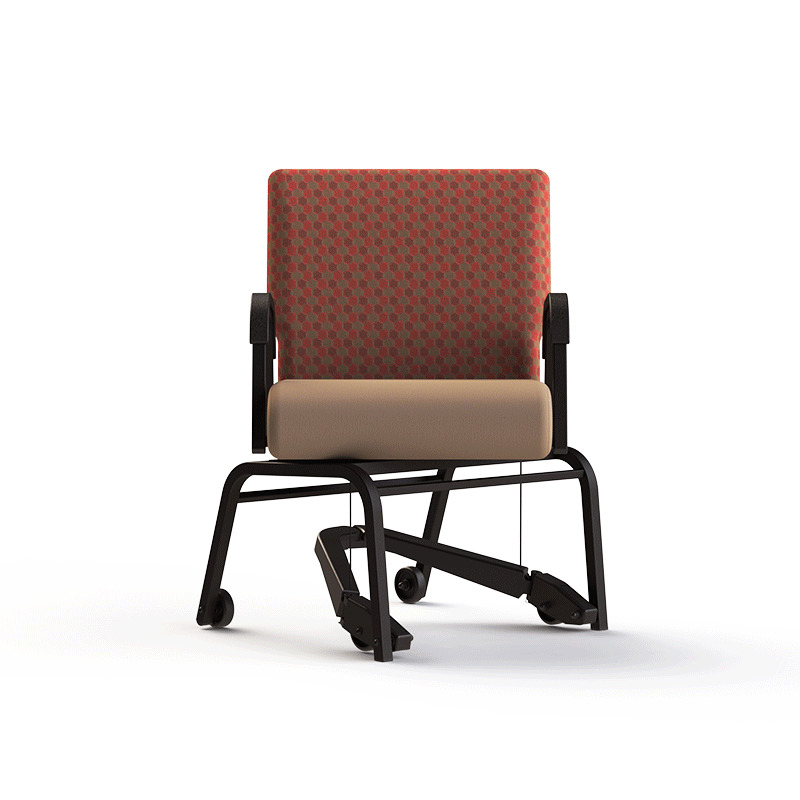 Is a lift chair designed for assisted living, as Alzheimer's furniture, and residential applications. 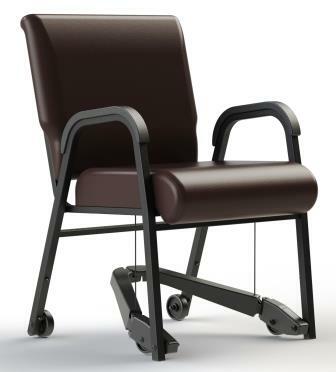 Assists the caregiver to quickly and easily allow a patient to transfer from a wheelchair or walker, then allow the caregiver to move a seated person close to the dining table, allowing them to eat in dignity and comfort. No stressing, straining the caregiver, or chair. How does it work? Engage the foot pedal, the suspended front casters contact with the floor, slightly lifting the front legs. With the foot pedal engaged by the caregiver, the chair can now be moved forwards and backwards. Watch the video on the right. Release, and the front legs of the chair are lowered, the casters are raised, the chair is positioned on the floor. 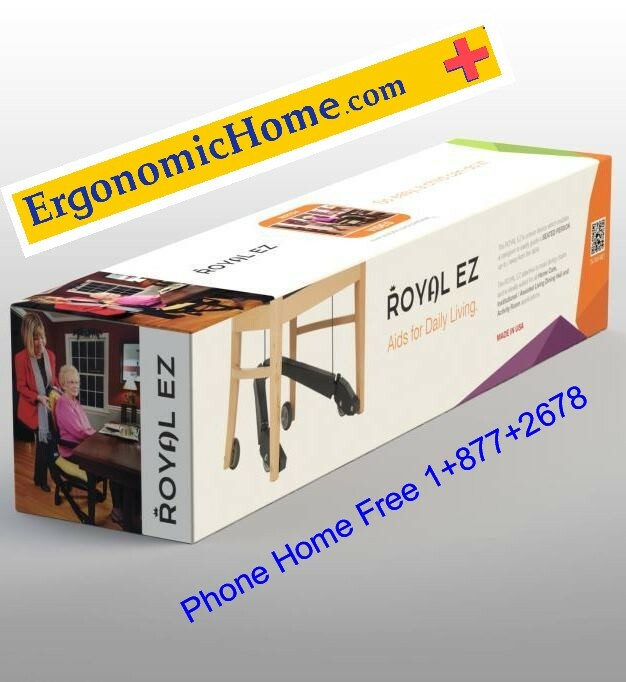 The Royal EZ Retrofit mechanism -link below - fits virtually any wood or metal dining chair. Casters are also fixed to the rear legs of the chair. 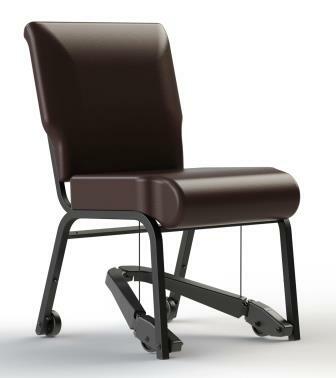 The Comfortek Seating ROYAL EZ (REZ) uses Millie-mova technology - Millie is the inventor's mother's name. Good to remember one's mother. Includes casters mounted onto a suspended leverage bar fastened to the front legs. 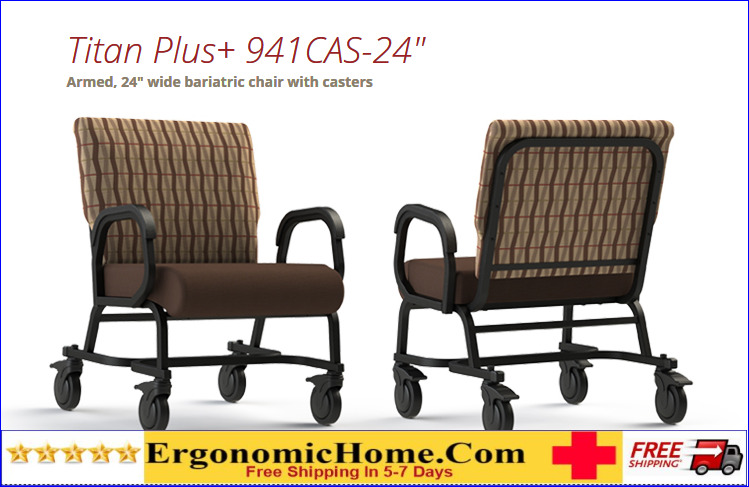 COMFORTEK TITAN BARIATRIC CHAIR W/CASTERS #941-24. FRAME RATING 600 LBS! READ MORE BELOW!